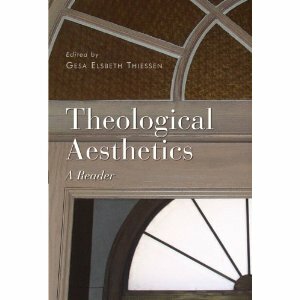 Gesa Elsbeth Thiessen’s reader in Theological Aesthetics contains a wide ranging compilation of readings from the early Church Fathers to current authors who are taking up this important subject. This is one more book on a long list of recent works that seek to clarify the links between theology and the aesthetic side of life. There are 125 primary sources covering topics such as Divine Beauty, Iconoclasm, Feeling Imagination and Contemplation and Truth Meaning and Art. It is a rich resource that the reader can return to again and again. Though for the advanced reader it will reward a careful reading from anyone who is interested in connections between theology and art.